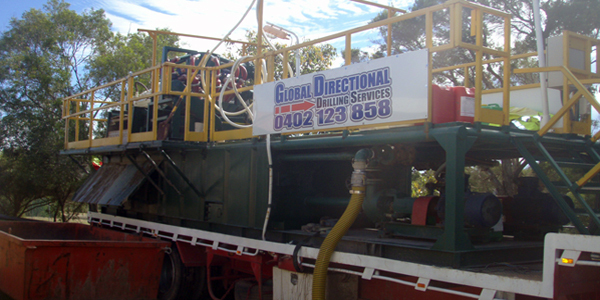 HDD (Horizontal Directional Drilling) is a cost effective and environmentally friendly way of installing services. 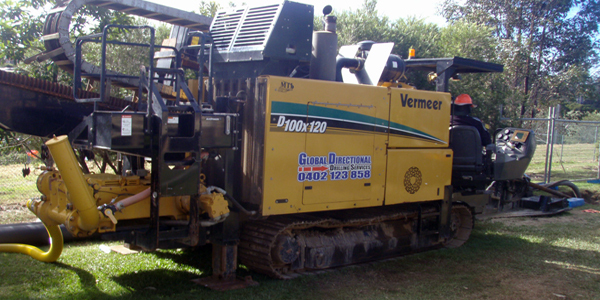 The technique has extensive use in urban areas for developing subsurface utilities as it helps in avoiding extensive open cut trenches. The process starts with a receiving hole and entrance pits. These pits will allow the drilling fluid to be collected and reclaimed to keep the cost down and prevent excessive water waste. 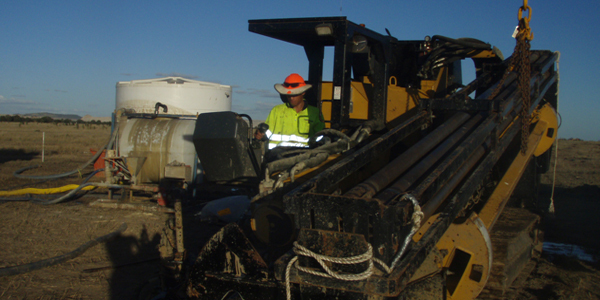 The first stage drills a pilot hole on the designed path and the second stage enlarges the hole by passing a larger cutting tool known as a back reamer. 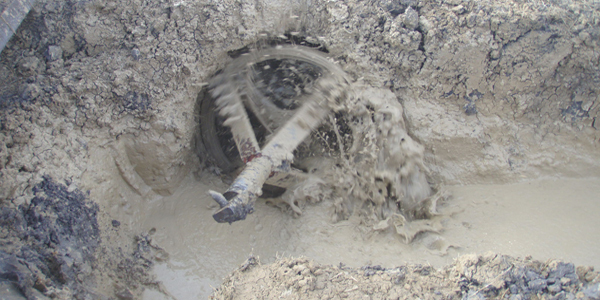 The third stage places the chosen sized pipe in the enlarged hole by way of the drill steel and is pulled behind the reamer to allow centering of the pipe in the newly reamed path. 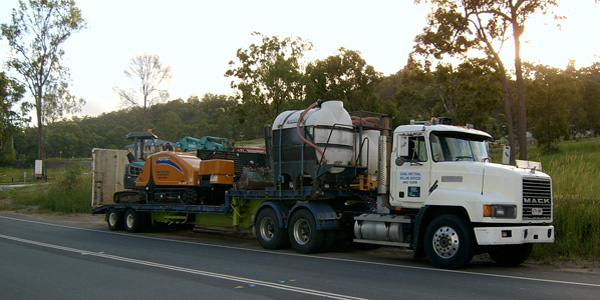 This makes a HDD (Horizontal Directional Drilling) perfect for water crossings, roadways, congested areas, environmentally sensitive areas and helps to provide less traffic disruption, lower costs, deeper and longer installation and environmental safety. 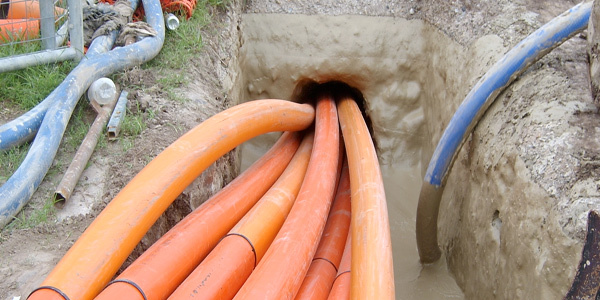 Pipe Bursting – A Trenchless method of replacing buried pipelines. 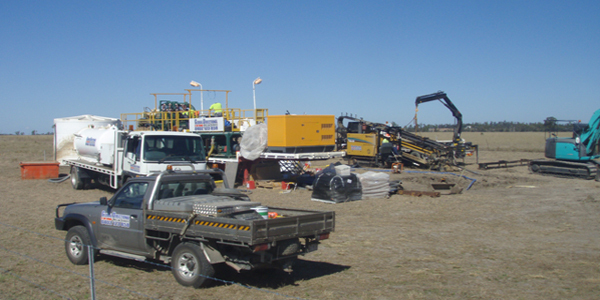 Pipe Ramming – A Trenchless method for the installation of steel pipes and casings.